5. Marital Status : Married. One daughter & One Son. vi. Member of Senate, Academic Councils, Finance Committee of Rajshahi University. i. Coordinator, Bangladesh Science Olympiad-Chittagong Division, since 2013.
ii. Chair, Organizing Committee of the „International Conference on Innovation of Science & Technology „-2016 with technical support of IEEE Bangladesh Sector. iii. Elected Member of the Senate, Rajshahi University, (1993 to 1999). iv . 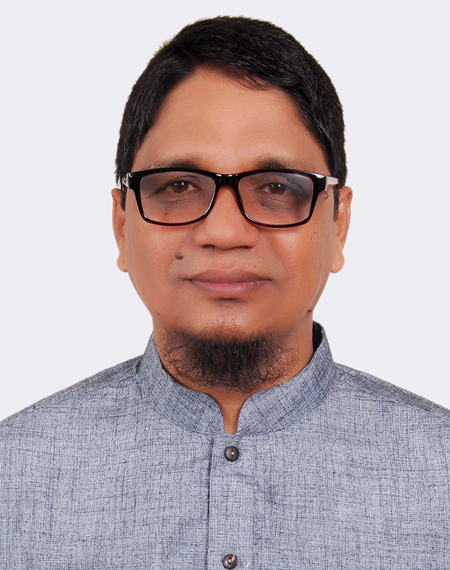 Elected Member of Finance Committee, Rajshahi University (1993 to 1999). v. Member of the Inter University Sports Board, Bangladesh (1994-1996). vi. Executive member of the Rajshahi University Teacher’s Association 1991.
vii. Vice-President, Rajshahi University Teacher’s Association-1992. viii Executive member of the Bangladesh Physical Society, 2004 to 2006.
ix. 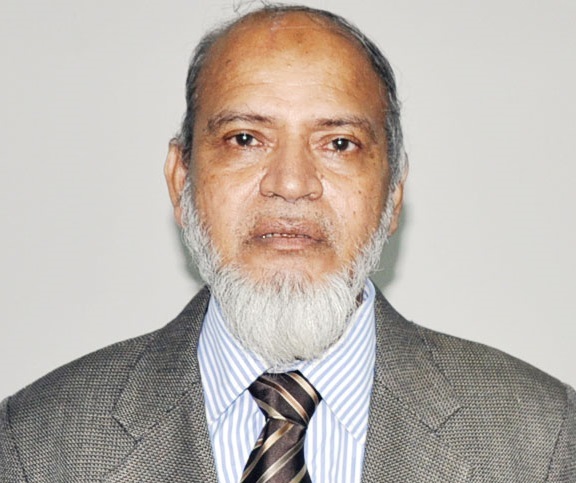 Vice-President of the Bangladesh Physical Society, 2007 to 2009. 9. Research Interest: i) ESR studies of Single Crystal, ii) Preparation and Characterization of thin films. iii) Dielectric Properties of Oxide and Ceramic , iv) Arsenic Contamination in Groundwater of Bangladesh. Int. Workshop on "Laser Technology & Application"
Int. Workshop on "Monsoon Rainfall Prediction"
Int. Symposium on "Recent Advances in Physics. "Physics & Characterisation of Lasers & Optical Fibers"
Workshop on "Laser Chemistry and Physics"
The 17th Annual Bangladesh Science Conference. "Condensed Matter Physics and Nuclear Science. “ High Pressure Science and Technology�? “Structure, Processing and Properties of Materials�? 28th Bangladesh Science Conference 4. Int. Conference on Mathematical and Chemical Phys..
 "Exchange energies of Iron group Ions in Single Crystal MgO" J.S. Thorp & M.D. Hossain, J. Mater. Sci. Letts (U.K.) 15(1980) 1866. "E.S.R. Line Broadening of Fe3+ in Fe/Mg at low temperatures" J.S. Thorp & M.D. Hossain. J. Mater. Sci. (U.K.) 15(1980) 2647. "E.S.R. Line Broadening of Fe3+ in Fe/MgO at low temperatures" J.S. Thorp & M.D. Hossain, J. Mater Sci. (U.K.) 15(1980) 3041. "E.S.R. Spectrum of Gd3+/MgO" J.S. Thorp & M.D. Hossain, J. Mater. Sci. (U.K.) 16(1981) 633. "E.S.R. Linewidth of Mechanism of Ni2+/MgO" J.S. Thorp & M.D. Hossain, J. Magnetism & Mag. Mater. (Netherlands) 22(1981) 311. "Electron Spin Resonance Studies of doped MgO" M.D. Hossain, Phy. Abstract. (U.S.A) 84(1981) 2279. "Prediction of Dipolar Linewidth in Alkaline Earth Oxide" M.D. Hossain. Ind. J. Phys. (India) 56A(1982) 23. "Activation energies of Ni2+/MgO and Co2+/MgO single crystals at low Temperature”. M.D. Hossain Ind. J. Phys. (India) 56A(1982) 332. "Dielectric Properties of Titanium and Gadolinium doped MgO Single crystals" M.D. Hossain, Appl. Phys. A (Springer-Verlag) A29 (1982) 29.
 " Temperature dependence dielectric properties of Co2+/MgO and Mn2+/MgO Single Crystals at 9.31 GHz" , M.D. Hossain, Ind. J. Phys. (India) 57A(1983) 32. "Temperature dependence dielectric constant of divalent doped MgO at 1KHz" M.D. Hossain & J.S. Thorp. J. Sci. Ind. Res. (Pakistan) 26(1983) 361. "E.S.R. behaviour of Mn2+ in CaO" M.D. Hossain & J.S. Thorp. J. Sci. & Ind. Res. (Pakistan) 26(1983) 70. "E.S.R. Linewidths in Mn2+/MgO" , M.D. Hossain, J.S. Thorp & A.D. Inglis J. Sci. & Ind. Res. (Pakistan) 27(1984) 57. "Dielectric properties on the single crystal specimens of Mn2+ and Co2+ doped MgO"M.D. Hossain & M. Huq. Ind. J. Phys. (India) 61A(1987) 176. "Elastic constants of Co2+/MgO by Ultrasonic Pulse-Echo Overlap Technique". M.D. Hossain. Ind. J. Phys A. (India) 61A(1987) 143. "Thermal breakdown potential of dry wood" M.D. Hossain. Ind J. Phys A. (India) 62(1988) 288. "Reaction Bonded Silicon Nitride and its Low Frequency Dielectric Properties." M.D. Hossain & A.H. Sarker. J. Nat. Sci. and Math (Pakistan), 31 (1991) 45. “The Heat capacity Cr for Co2+/MgO" M.D. Hossain & R. I. Islam J. Sci & Ind. Res. (Pakistan) 35(1992) 332. “Dielectric Properties of Electron Beam Deposited Amorphous SiOx (o<2) Thin Films” M. J. A. Sarkar, M.A.R.Sarkar and M.D.Hossain.Ind. J. Pure & Appl. Phys. 40(2002) 489. 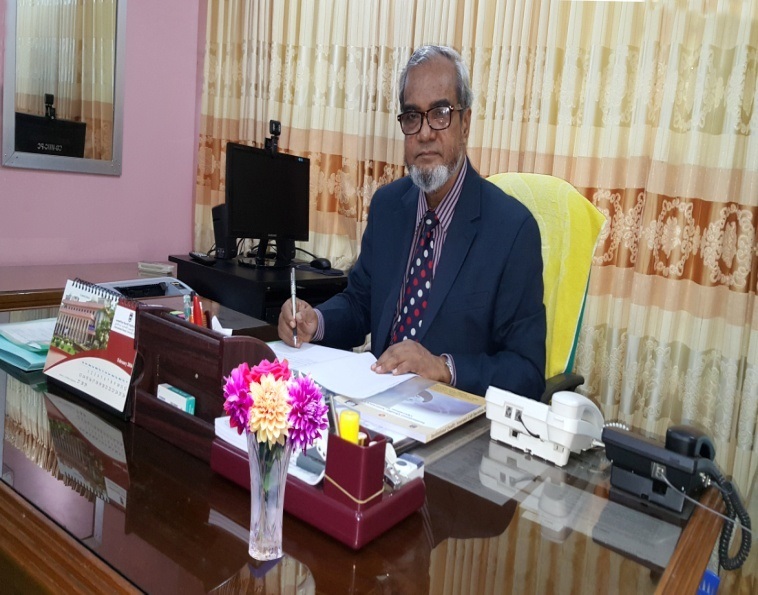 “Statistical Characterization of Arsenic Contamination in Shallow Tubewells of Western Bangladesh”, F.Hossain, A.C. Bagtzoglou, N.Nahar and M.D.Hossain. Hydrological Processes, vol. 20(7), p.1497-1510. Health and Socio-Economic Effects of Groundwater Arsenic Contamination in Rural Bangladesh: New Evidence from Field Surveys”, N .Nahar, , F. Hossain and D.Hossain. Journal of Environmental Health, Vol.70, (9), p.42-47. "Prediction of Dipolar Linewidth in Rutile" M.D. Hossain & J.S. Thorp J. Bangladesh Acad. Sci. 6(1982) 153. "Dielectric Properties of doped MgO Single Crystals" M.D. Hossain. Bangladesh J. Sci. & Ind. Res. 18(1983)61. "Thermal Conductivity of Bangladesh Timber" M.D. Hossain. Bangladesh J. Sci. & Ind. Res. 19(1984) 103. "The D.C. conductivity and Thermal Breakdown Potential of some Bangladeshi Timber” M.D. Hossain & M.R. Rahim. The Rajshahi University Studies Part-B. 312(1984) 81. "Introduction to Optical Fiber Communication" (In Bengali), M.D. Hossain, Published by Rajshahi University, Bangladesh. “Modern Concepts on Water Resources” (In English) F. Hossain & M. D.Hossain. Published by UGC. Bangladesh. Honor as Author.UGC Accorded Reception to Authors of Books published by UGC( Certificate & Crest by the Education Minister at Dhaka UGC Auditorium, 9 March 2016). i) Fellow of the Bangladesh Physical Society. ii) Member of the Bangladesh Electronics Society. iii) Member of the SPARSO, Bangladesh. iv) Member of the Institute of Physics (M.Inst. P), London, U.K.
v) Member of the Commonwealth Association for Development (CAD), London, U.K.
vi) Member of the American Biographical Institute (ABI), North Carolina, USA.